The Book of Trees is written and drawn by, Wojciech Grajkowski and Piotr Socha, the same people who gave us The Book of Bees. This is a humongous 72-page hardcover book that talks about trees. Huge illustrations adorn the pages and the informative text has all the interesting information regarding trees. You can learn about what makes a tree a tree, which are the tallest or widest trees, the animals or insects that live in trees, or around trees, the uses of wood for building ships, buildings, musical instruments, lore of trees and many more. The illustrations by Piotr Socha are beautiful and the research and writeup by Wojciech Grajkowski is insightful, interesting and educational. This may look like a picture book for children, but I'm sure adults will have a lot to learn from reading it too. 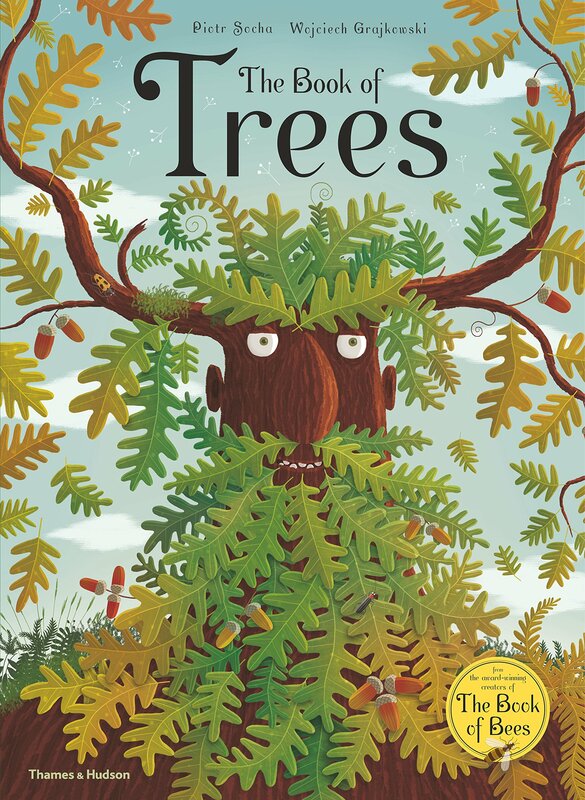 If you're interested in this book, check out Drawing Trees and Leaves: Observing and Sketching the Natural World too.